KB article ID: 3300 (permalink). Updated: 2/15/2017. 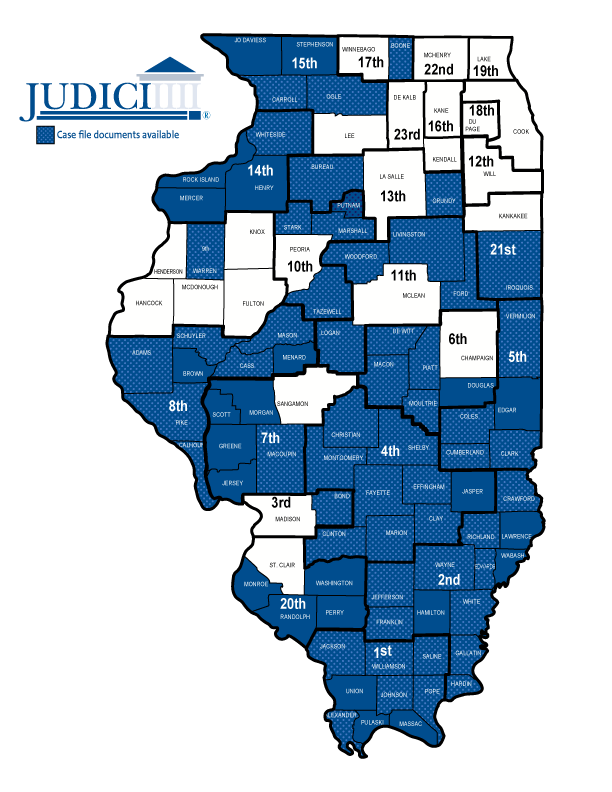 The Judici home page always shows an up-to-date map, and the Participating Courts page at http://www.judici.com/courts/court_list.jsp indicates which courts put their documents online.